Come see this 2014 Honda Accord Sedan Sport. Its Variable transmission and Regular Unleaded I-4 2.4 L/144 engine will keep you going. This Honda Accord Sedan has the following options: Window Grid Antenna, Wheels: 18" Alloy, Vinyl Door Trim Insert, Valet Function, Urethane Gear Shift Knob, Trunk Rear Cargo Access, Trip computer, Transmission: Continuously Variable w/Sport Mode -inc: paddle shifters, Transmission w/Driver Selectable Mode, and Tires: P235/45R18 94V AS. See it for yourself at Cavender Buick GMC West, 7400 West 1604 North, San Antonio, TX 78254. 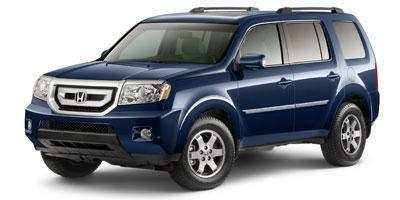 Come see this 2011 Honda Pilot Touring. Its Automatic transmission and Gas V6 3.5L/212 engine will keep you going. This Honda Pilot has the following options: XM satellite radio w/90-day subscription, Warning lights -inc: low-fuel, low-oil pressure, door/tailgate open, passenger airbags status, vehicle stability assist, Vehicle Stability Assist (VSA) w/traction control, Variable Torque Management (VTM-4) 4-wheel drive system -inc: manual push-button locking rear differential, Variable pwr rack & pinion steering, Variable intermittent windshield wipers, Variable Cylinder Management (VCM), Upper & lower front row seatback pockets, Unit-body construction, and Tri-zone automatic air conditioning -inc: humidity control, air-filtration system. See it for yourself at Cavender Buick GMC West, 7400 West 1604 North, San Antonio, TX 78254. Come see this 2016 Honda Accord Sedan LX. Its Variable transmission and Regular Unleaded I-4 2.4 L/144 engine will keep you going. This Honda Accord Sedan comes equipped with these options: Window Grid Antenna, Wheels: 16" Alloy, VSA Electronic Stability Control (ESC), Valet Function, Trunk Rear Cargo Access, Trip computer, Transmission: Continuously Variable w/Sport Mode, Tires: P205/65R16 95H AS, Systems Monitor, and Strut Front Suspension w/Coil Springs. Stop by and visit us at Cavender Buick GMC West, 7400 West 1604 North, San Antonio, TX 78254. Look at this 2017 Honda Accord Sedan Sport. Its Variable transmission and Regular Unleaded I-4 2.4 L/144 engine will keep you going. This Honda Accord Sedan features the following options: Window Grid Antenna, Wheels: 19" Alloy, VSA Electronic Stability Control (ESC), Vinyl Door Trim Insert, Valet Function, Trunk Rear Cargo Access, Trip computer, Transmission: Continuously Variable w/Sport Mode -inc: paddle shifters, sequential mode gear selection indicator and shift lever position indicator, Tires: P235/40R19 96V AS, and Systems Monitor. See it for yourself at Cavender Buick GMC West, 7400 West 1604 North, San Antonio, TX 78254. Look at this 2017 Honda Accord Sedan Touring. Its Automatic transmission and Regular Unleaded V-6 3.5 L/212 engine will keep you going. This Honda Accord Sedan has the following options: Window Grid Antenna, Wheels: 19" Alloy, VSA Electronic Stability Control (ESC), Voice Activated Dual Zone Front Automatic Air Conditioning, Vinyl Door Trim Insert, Valet Function, Trunk Rear Cargo Access, Trip computer, Transmission: 6-Speed Automatic w/Sport Mode, and Transmission w/Driver Selectable Mode. See it for yourself at Cavender Buick GMC West, 7400 West 1604 North, San Antonio, TX 78254. Check out this 2018 Honda CR-V EX. Its Variable transmission and Intercooled Turbo Regular Unleaded I-4 1.5 L/91 engine will keep you going. This Honda CR-V has the following options: Wheels: 18" Alloy, Valet Function, Urethane Gear Shift Knob, Trip computer, Transmission: Continuously Variable w/Sport Mode, Tires: P235/60R18 103H All-Season, Tailgate/Rear Door Lock Included w/Power Door Locks, Systems Monitor, Strut Front Suspension w/Coil Springs, and Steel Spare Wheel. Stop by and visit us at Cavender Buick GMC West, 7400 West 1604 North, San Antonio, TX 78254. Look at this 2016 Honda Pilot EX-L. Its Automatic transmission and Regular Unleaded V-6 3.5 L/212 engine will keep you going. This Honda Pilot has the following options: Window Grid Antenna, Wheels: 18" Alloy, Wheels w/Machined Accents, VSA Electronic Stability Control (ESC), Valet Function, Trunk/Hatch Auto-Latch, Trip computer, Transmission: 6-Speed Automatic, Transmission w/Driver Selectable Mode, and Tires: P245/60R18 105H AS. Stop by and visit us at Cavender Buick GMC West, 7400 West 1604 North, San Antonio, TX 78254.